Aside from protecting you from financial liabilities when accident happens, auto insurance is also a requirement in almost all states. Violating this could held you criminally liable. Repeated violation could even cause you your driver’s license! If you are new to car insurance, finding the best one could be a daunting task! Below are just some of the best auto insurance companies on our list. 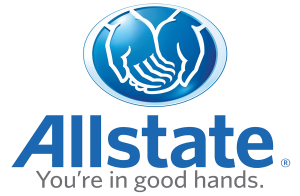 The Allstate Corporation is the largest publicly held insurance company in the country. Allstate offers many types of car insurance coverage to choose from. They also offer online tools that make it easy for you to manage your policy and file accident claim online and many helpful resources to learn more about your insurance. Esurance, a wholly owned subsidiary of Allstate, is an online auto insurance company which provides personal auto insurance direct to clients online and through select agencies, including sister company, Answer Financial. They also provides customers with online tools for filing claims as well as the ability to sign up for, renew or change insurance policies online. GEICO or Government Employees Insurance Company, has been providing affordable auto insurance to millions of drivers across the United States since 1936. In addition to auto insurance, it offers coverage for motorcycles, RVs, ATVs, and boats. One of the oldest insurers in the US, Liberty Mutual is the third largest publicly held U.S. insurance company as of today. It offers quality and affordable auto insurance, home insurance & life insurance. One of the best-known insurance providers in the U.S. Currently, USAA proudly serves millions of military members and their families with competitive rates not only on insurance but in banking and investment services as well.